Our childrens playground needs a new swing. Could you make one for us? Level 3 - As level 2, with feet on the swing so the doll can swing really high! 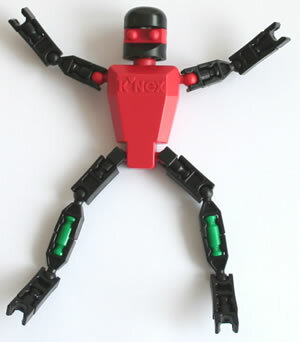 Equipment: KNEX set, doll about 30cm high. Approach: How does a swing work? 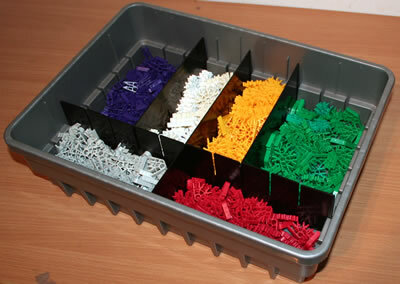 Can you make one out of KNEX? How will you make the seat? How will you make it swing? 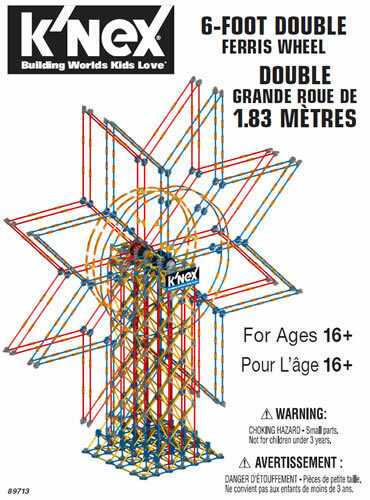 For level 2, what size do you need to make your swing so the doll can sit on it? Will your swing be strong enough to take the dolls weight? Will the doll need a harness to keep it in its seat? For level 3, push your doll to make the swing go quite high. If your swing falls over, how can you put feet on it to make it more stable? 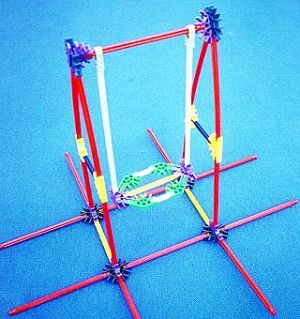 A project for younger children involving pushes and pulls, and simple structures. 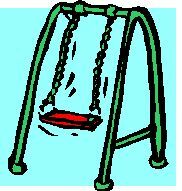 Before starting: Look at a picture of a swing, or visit a playground. Conclusion: Firstly, ask the children to think of two ways they can make the doll swing (pushing and pulling). Then compare the different ways the models have been built to give them strength and stability.